The Canadian Independent Music Association (CIMA) is seeking input from Canadian music companies, such as labels, management, and publishers, as well as entrepreneurial artists, for a new study on music export activities. The study is designed to gather comprehensive evidence on the costs for Canadian artists touring internationally, as well as the costs of launching an artist, song, or brand in foreign markets. The study also aims to clarify the return on investment in terms of jobs, economic impact, and other relevant measures, from the successful export of Canadian artists and music products. Key international markets for Canadian music; and. How much these activities cost. The timing of this study coincides with the Canadian government’s nation-wide consultation, Canadian content in a digital world, on how it can best support Canada’s cultural industries in the modern era. CIMA is hoping that Canadian independent music is strongly represented in the consultation, with the end goal of increased funding for music companies and their artists to support export activities. The survey takes approximately 20-30 minutes to complete, and closes September 16. Each completed survey will also be entered to win a VIP pass to Canadian Music Week 2017 in Toronto. The results of the survey will be published in fall of 2016. To fill out the survey, head over to the Music in Motion website. CONNECT Music Licensing has announced that an efficiency project undertaken with Re:Sound Music Licensing has resulted in increased royalty payments for Canadian rights holders. Data improvement and other efficiencies have led to an increase of CAD$1.2 million annually for CONNECT’s members, who range in size from major record labels to artist-owned imprints. Improvements in data streams provided by CONNECT’s members, and the creation of a single repertoire database have also freed up an additional CAD$1 million in accelerated royalty payments for labels and another CAD$1 million to the performers on recordings through Re:Sound’s member organizations ACTRA RACS, MROC and ARTISTI. Royalty distributions, as a result of this project, will also happen faster on ongoing basis. Depending on the tariff, payout timelines have been accelerated by 1-6 months, a CONNECT rep told Billboard. Coverage of the increase in royalties for Canadian rights holders has also been featured in Canadian Musician and FYI Music News. Work Permit changes announced yesterday for foreign music artists will dramatically improve the landscape for much of the live music community in Canada for the benefit of venues across the country, artist managers, agents, Canadian record labels, as well as Canadian and foreign artists. These changes were made at the request of Canada’s music community.Effective immediately, all foreign artists performing in time-limited engagements – so, on contract for a tour for instance – and their essential crew – will no longer have to expend the time or the cost to obtain a work permit, regardless of what kind of venue they’re performing in across Canada. If an artist has been hired for a permanent position, however, they will need to go through a different process. 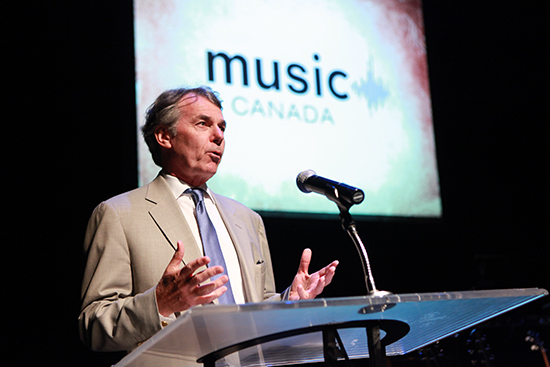 Music Canada, CIMA, CCMIA and CAPACOA and the broader music community applaud these changes, and thank the government and Minister Chris Alexander (Citizenship and Immigration) for supporting the music industry in this regard. 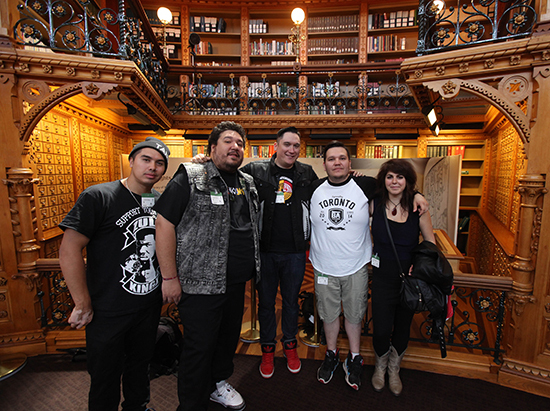 A Tribe Called Red & Lisa LeBlanc delivered incredible performances this week at Minister of Canadian Heritage Shelly Glover’s Canadian Music Night, an event series celebrating Canadian music and its contribution to Canada’s economy. 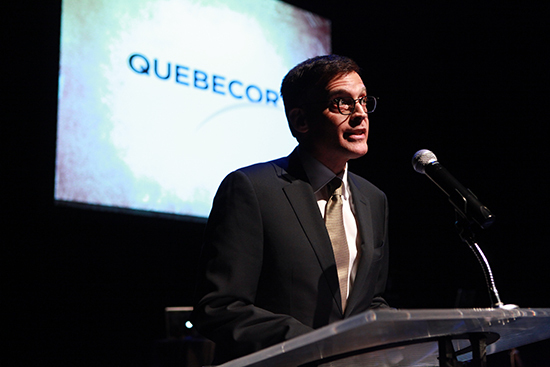 The event, organized by Music Canada and Quebecor, with the support of TD Bank, Stingray Digital Group, CIMA, and ADISQ, was held at the National Arts Centre in Ottawa, and was well attended by a non-partisan crowd including Members of Parliament from various parties, Senators, members of the media, and representatives from Canada’s music industry. 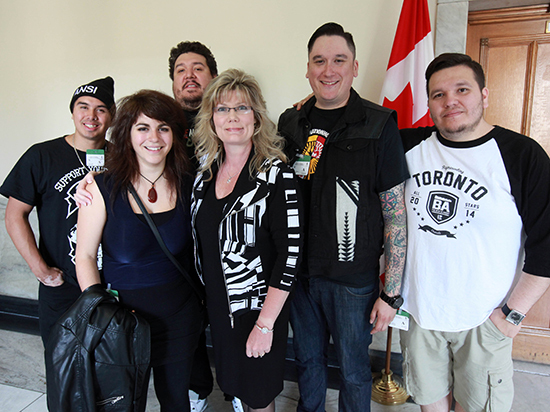 This was the second Canadian Music Night hosted by Minister Glover, following an event held at Museum of Civilization (History) in Gatineau, QC last December, which featured performances by Kaïn & Brett Kissel. 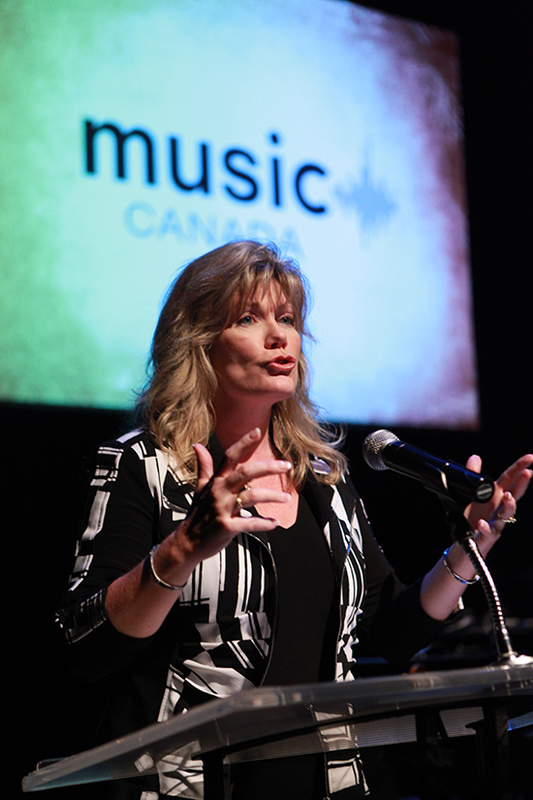 After the event, Minister Glover highlighted the vitality of Canada’s music industry, noting the cultural and economic importance of the sector. 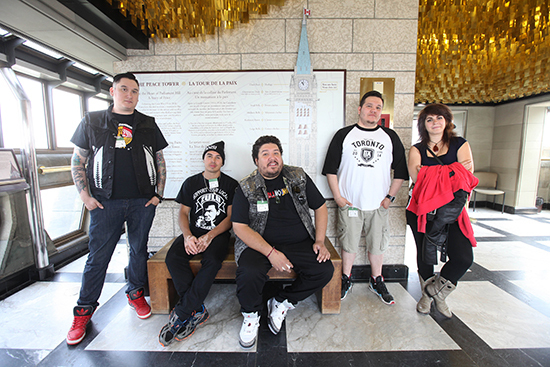 Prior to the show, A Tribe Called Red & Lisa LeBlanc toured Parliament Hill with MP Patrick Brown, which included a visit to the Senate, the Library of Parliament, and the Peace Tower. 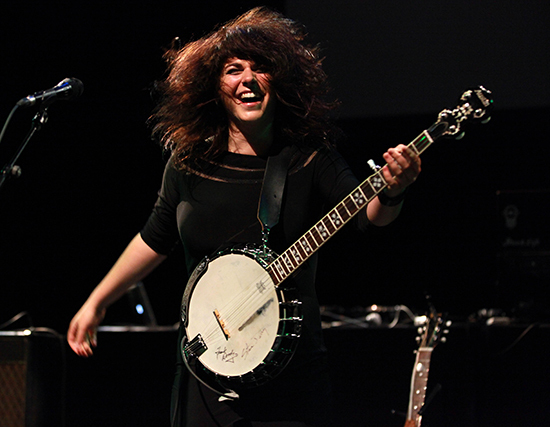 After a sound check and meet and greet at the National Arts Centre, Lisa LeBlanc kicked off the show, wowing the audience with her energetic performance on guitar and banjo, drawing comparisons to kd lang, Linda Ronstadt, and Janis Joplin. 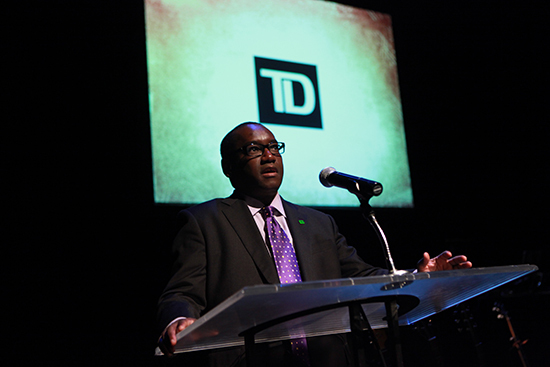 LeBlanc earned a standing ovation from the crowd, who were clapping and stomping their feet along with the music. 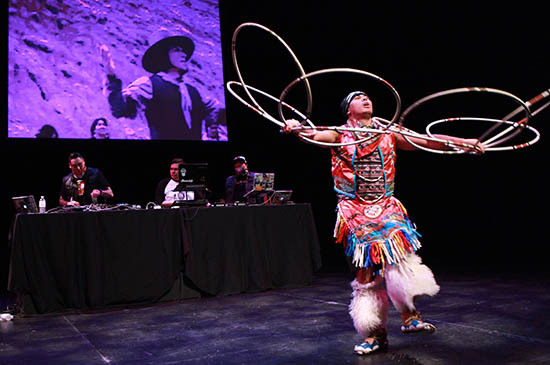 A Tribe Called Red’s set continued the high level of energy in the room, both with their mix of traditional pow wow drumming and dubstep and electronic music, and the incredible dancing from James Jones, the traditional hoop dancer who joined them on stage. By the end of their set, members of the audience were on stage as well, joining James in a circle dance. After their performances, both bands joined members of the audience in a post-reception in the lobby, signing autographs and snapping photos with their new fans. For more photos from the event, see our album on our Facebook page. An economic impact study on the recording industry in Canada, recently prepared by PricewaterhouseCoopers (PwC) and published by Music Canada, demonstrates that while digital sales of recorded music have grown in the past five years, they have not offset the drop in total sales. Despite the contraction though, the study points out that the recording industry remains an important economic generator for Canada. “Major and independent music companies, not to mention the broader music community, support thousands of high-paying jobs across Canada and represent one of Canada’s most successful exports, making copyright protection a good investment for Canadians,” says Henderson. Graham Henderson testified before the Senate Committee on Banking, Trade and Commerce on June 26, 2012 regarding Bill C-11, and previously testified before the legislative committee reviewing Bill C-32 along with artists Loreena McKennitt and Maia Davies and representatives of the Canadian Independent Music Association and the Canadian Council of Music Industry Associations. Music Canada is a non-profit trade organization that represents the major music companies in Canada, namely EMI Music Canada, Sony Music Entertainment Canada, Universal Music Canada and Warner Music Canada. Music Canada also provides membership benefits to some of the leading independent record labels and distributors. Its members are engaged in all aspects of the recording industry, including the manufacture, production, promotion and distribution of music.